Left to right: Ibraheem Alkhairallah, Creative Director, Alaa Yousef Fadan, CEO and Ali Alkalthami, Executive Creative Director, Telfaz11. Fast gaining recognition as one of the influential digital media companies based out of Saudi Arabia, Telfaz11 is known in the Arab world for its narratives inspired from local culture combined with elements of humor. It strives to popularize local entertainment with their original online content that includes YouTube videos, shows, branded show packages, and much more. 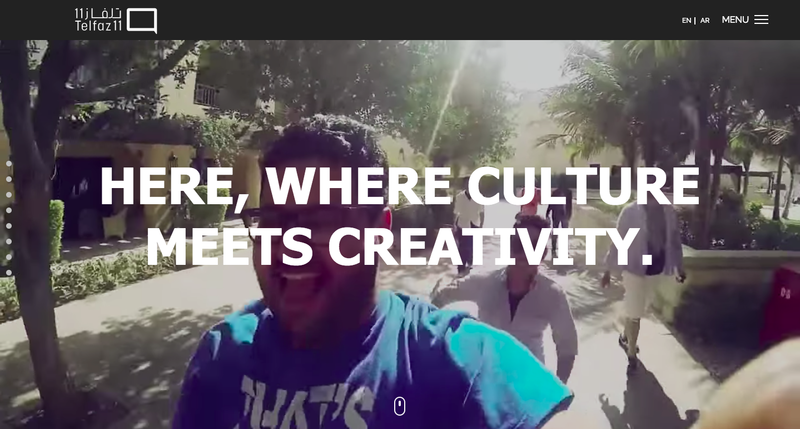 Telfaz11 has a number of viral videos and YouTube shows to its credit including No Woman, No Drive, Temsa7LY, Khambalah, Alkhallat, and Telfaz11 Top 5. Major clients of the team include national and multinational companies, such as STC, Mars, P&G, Uber, and Ikea, to name a few. 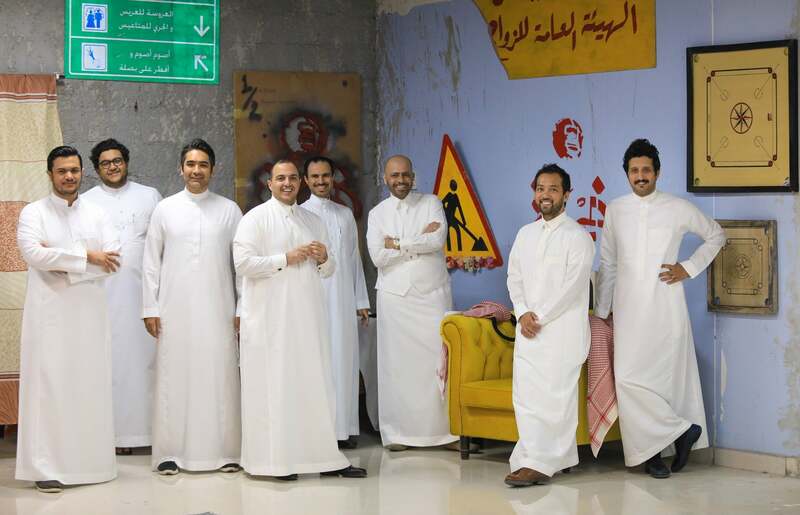 Founded in Riyadh by Alaa Yousef Fadan, Ali Al Kalthami, and Ibrahim Al Khairallah, Telfaz11, as per the entrepreneurs, was born to satiate Saudi Arabia’s (and the Middle East’s) strong appetite for creative expression. “In fact, [even] before we started, we came across amazingly talented and creative people locally, but unfortunately, we, as Saudis, were not known for our creativity or our content, mainly due to cultural perceptions on the creative industry,” says Fadan. “Moreover, we believe that there wasn’t any content, on TV or otherwise, that truly appealed to or represented the Saudi youth,” he adds. This was the trigger for the three storytellers to turn to “creative culture catalysts,” and establish a creative economy in the region by launching Telfaz11. The Kingdom’s recent plans to invest $64 billion in a complete overhaul of its entertainment sector over the coming decade, as well as its plans to focus on building venues and inviting Western artists, can also be seen as a factor that aided the growth and acceptance of local entertainment players like Telfaz11. “Saudi Arabia’s ongoing wave of economic diversification has unlocked a new era of entertainment in the country, opening doors to a whole new world of opportunities for local players like Telfaz11, and attracting tremendous investor interest in the Saudi market,” says Fadan. “In our pursuit to become the definitive media technology company for the social age, increased investor confidence will help accelerate our long-term growth plans, expand our team, and explore new platforms and verticals,” he adds. Having said that, the process of raising the funds, according to Fadan, took “a few years” for Telfaz11, as they wanted to wait to find the right partners than just getting a monetary boost. “We met with many potential investors, including STV’s founding team, but their fund wasn’t officially approved yet when we had first met,” he recalls. “Last February, VentureSouq invited us to an investor round-up that they periodically organize, to present Telfaz11 to a group of institutional and angel investors. We knew right then that VentureSouq was the ideal partner we were seeking, and we commenced discussions about a potential investment from then on. Soon after, STV officially launched, and their fund was approved as well,” he says. Telfaz11 team with STV Capital and VentureSouq investors. Image credit: Telfaz11. Indeed, with the media and entertainment sector in Saudi Arabia, the industry, as a whole, is expected to grow exponentially, and KSA-based local startups such as Telfaz11 are well placed to capitalize on the Kingdom’s transformation currently underway. “We believe that any region that would like to enjoy premium authentic storytelling, as well as export their authentic stories to the world, would benefit from Telfaz11’s offerings,” says Fadan, forseeing exciting times ahead for the young company. Alaa Yousef Fadan, CEO of Telfaz11. Image credit: Telfaz11. What are your top tips for the region’s startups to pitch and clinch funding for their ventures?